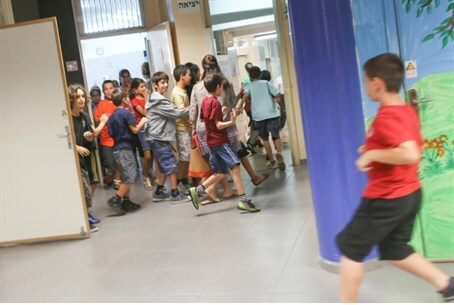 Religious public schools open their doors to families from southern Israel seeking to spend the Sabbath away from rocket fire. The public religious school system (Hamad) has opened its doors to residents of the south seeking a respite from rocket fire. Schools across the country whose students are at home over the weekend will provide beds and meals to southerners for the Sabbath. Organizers said the dormitories being made available are all clean and in good condition. The same spaces are often rented out to vacationers over holidays, they noted, to emphasize the rooms’ quality. A phone line manned by National Service volunteers, at 1-700-508-908 connects host families with families and singles from the south. The service can also be reached on Facebook. The initiative was started by Rabbi Dr. Avraham Lifshitz, director of the Education Ministry’s Religious Education Administration. Garin Torani (Torah “core group”) groups throughout the country have also invited residents of the south to spend the Sabbath with them. Stores and businesses are also doing what they can to help those in southern Israel get through the attacks. The Coop Shop chain announced Thursday that it is continuing its door-to-door service that allows customers to order food by phone and have it delivered to their house, thus allowing residents of rocket-hit towns to purchase food without risking a trip outdoors.